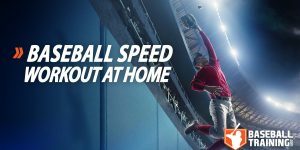 Baseball Speed Training Tip - Are You Making This Common Mistake? So many athletes even to this day perform very poorly because of a very simple training mistake, long distance running. 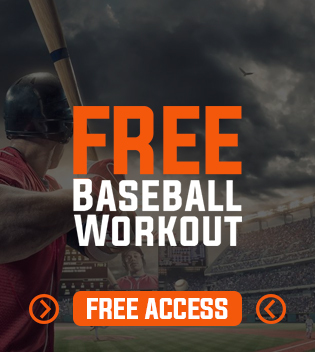 Baseball is a sport that has a long history, and any sport that has a long history will always have its accompanying old-school training methodologies that just won’t die. I know it can be tough to conceptualize how all those miles on the road never paid off, but, they never will. This is the antithesis of sport-specific training. In fact, in most cases, long distance running will actually make you slower rather than faster. You will almost certainly notice a lack in that explosive first-step quickness that you need. I know it may sound harsh, but are you really surprised that this is the result you got? If you train slow, you will play slow. Baseball does NOT entail running for miles at a time, and even if you do somehow run miles within a game (which is still unlikely), those miles are a series of sprints interspersed with a series of walks. Most of the time, baseball goes from one full extreme to another, meaning, you either either sprinting all-out, or not moving at all. Lots of explosive movement coupled with plenty of recovery time. Running long distances does not prepare you for this, and certainly doesn’t prepare to be repeatedly explosive across the course of nine innings. 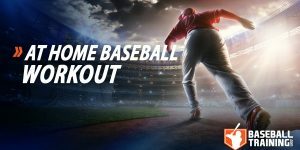 Sport specific training for baseball is exactly as the name suggests, it represents the best possible training intensities and frequencies to maximally mimic the same energy systems you will be using in a game setting. Thus, making it sport specific. If the sport is sprint then walk, then the training should be sprint then walk. Makes logical sense. There is another very important concept you need to grasp here that I already mentioned above, if you train slow you will be slow. The real is it is very difficult to make someone very fast and explosive, but it is pretty easy to make someone slow. If you want to be a slow baseball player, simply go out for slow, long runs. The athlete will still be in shape, but they will be in the wrong shape for baseball. Not to mention, a huge problem with long distance running is the massive increase in the rates of injuries athletes incur. Statistically speaking, 60% of people who take up cross-country running get injured — these are terrible odds if you’re looking to be healthy and in shape for a full baseball season. The baseball athletes who dominate the game are the ones who run the fastest, jump the highest, and have the most explosive starting speed. Yes, having an aerobic base matters, but you still need to train for the sport. This means you lift weights, jump explosively, and sprint often. The real key lies in the implementation of all these in order to create a baseball specific approach, something I have wrote about in obsessive detail in all of my articles in the past. Put very simply, baseball athletes are not marathon runners, so they should stop training like one. The players who want to get faster and get in amazing sport condition need to train a way in which that best replicates the exact demands of the game. 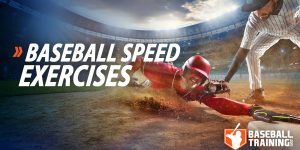 If you want to be the fastest player on the field and train in a way that is truly sports-specific, then you need to check out our Baseball Speed Training Program today.